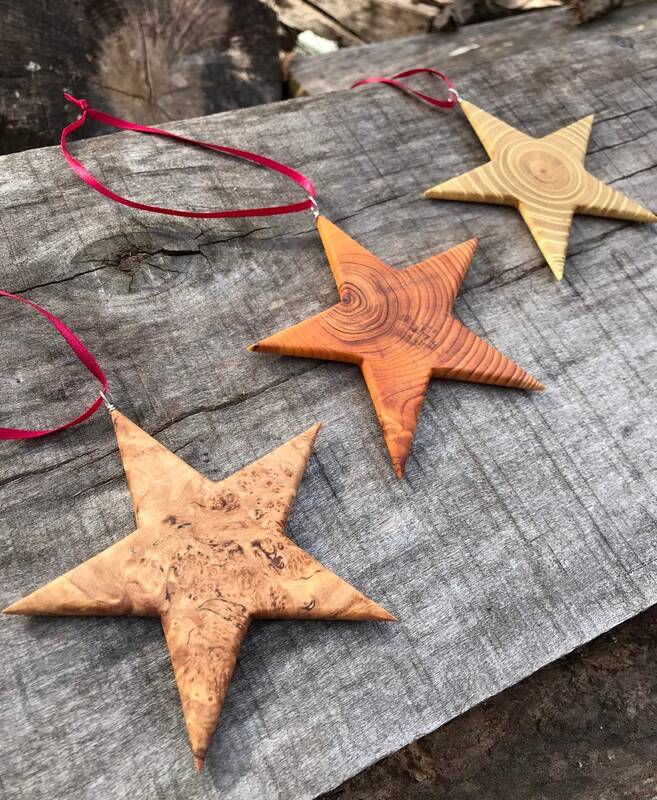 This listing is for a set of 3 beautiful star ornaments handcrafted by Jem Klein. They are a one of a kind work of art. They are made from sustainably harvested North American wood and have eco-friendly non-toxic finishes. Can be used as an ornament, wall hanging, on large statement lightweight pendant. 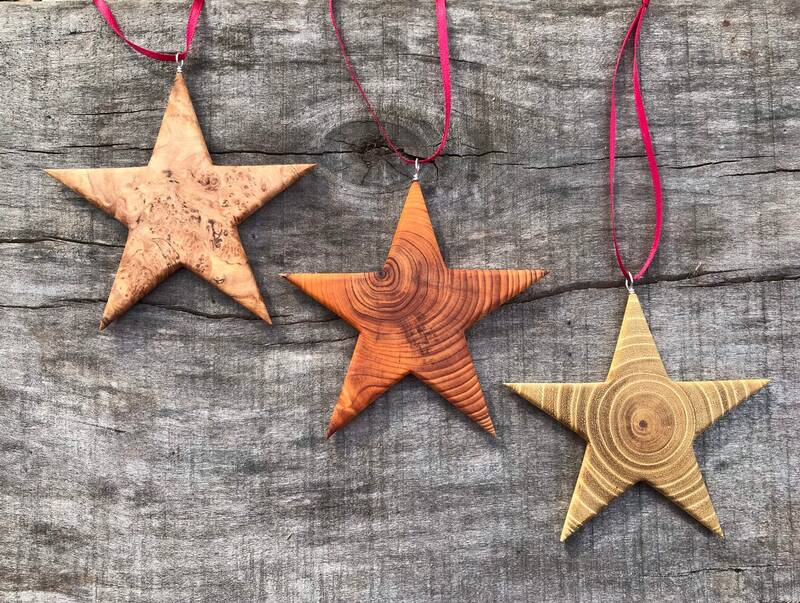 Each star measures approximately: 4"x 3"
*These are NOT a laser cut mass produced item. My ornaments are cut, sculpted, sanded and polished by my hands! 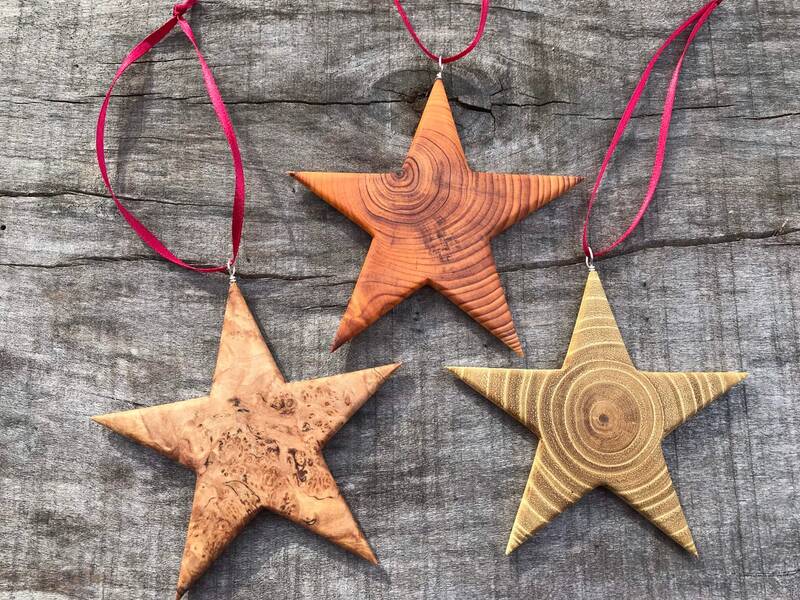 These ornaments are crafted from local wood that I sustainably harvested with love and respect for the forest. They are NOT made from imported or rainforest derived exotic wood.